Lawndale, California Car Accidents Lawyers with Over 40 Years of Experience and Success Rate of Better Than 95%! Lawndale, California car accidents cause serious injuries, substantial property loss, and sometimes even wrongful death. Our Lawndale wrongful death, car accident personal injury claims lawyers have a success rate of better than 95% in resolving personal injury and wrongful death accident cases in Lawndale, Los Angeles and throughout California. Having more than 40 years of intense experience in handling and settling thousands of car accident, truck accident, motorcycle accident, bicycle accident, pedestrian accident and other serious injury accident claims, we are a law office of accident injury claim attorneys offering our legal services for Lawndale, Hawthorne, Gardena, Hermosa Beach, Redondo Beach, LAX, Torrance and other places near Lawndale and throughout all of Los Angeles. Our experienced and skillful car accident injury lawyers know how to handle car accident cases, from getting damaged cars towed and repaired to instant medical care without payment due until your case is resolved, to maximum settlements while providing legal advice and clear explanations of the claims process all along the way. To see what other say about our accident attorneys and Law Corporation, please see our testimonial section. There are many time rules (including the California statute of limitations) and procedural rules (e.g., in car insurance policies, the California DMV, etc.) so please do not wait and lose your rights. Too often potential clients contact us AFTER the California statute of limitations has passed and there is nothing anyone can do to help them. Please do NOT let that happen to you - Please contact us at 818-222-3400 or 1.866 INJURY 2 (after hours just dial "1") for your FREE & CONFIDENTIAL consultation and case evaluation. Our attorney consultation is FREE and, when we take your accident case, our Lawndale injury attorneys work on a contingency fee, which simply means there is NO fee to you until you WIN! What Our Lawndale Wrongful Death & Personal Injury Lawyers Assist You With? Our Lawndale and Los Angeles car accident personal injury & wrongful death accident lawyers are understanding and sympathetic towards our clients, yet extremely aggressive against the responsible parties and their insurance companies. Medical Care: Serious injury and wrongful death car accidents in Lawndale and all around California often leave victims dealing with serious injuries that require timely care, physical therapy, and medical treatment. The accident lawyers for Lawndale help clients obtain medical care, including doctors, specialists such as orthopedic and plastic surgeons, neurologists, dentists, and psychologists, usually without any payment due until the claim is resolved. Moreover, clients can receive help with medications, X-Rays, including MRI and CT scans, again usually with no payment due until their claim is resolved. Vehicle Repairs: Lawndale and Los Angeles car, truck, & motorcycle accidents can cause heavy damages to cars, trucks, and motorcycles. Our Lawndale car accident lawyers and law offices help you with vehicle repair, storage, towing and if appropriate, total loss replacement and free car rental. Transportation to Doctor: Our Lawndale. Los Angele car accident attorneys assist clients in finding doctors, arranging appointments and, whenever appropriate, arrange transportation for injured clients to and from the hospital, medical clinic and other doctor and physical therapy appointments. If you need any kind of help with the transportation, just let us know. Cash Advances/Emergency Loans: Lawndale and Los Angeles auto accidents can reduce your finances especially with unexpected medical bills and added expenses to take care of at a time when you may miss work and suffer a loss of earnings. We understand this. Our experienced Lawndale car accident lawyers and law offices will assist you in receiving loans and advances to cover those additional expenses. How to Contact a Lawndale Car Accident Injury & Wrongful Death Lawyer? If you have been involved in a Lawndale car accident or any motor vehicle collision in Los Angeles, call us right now for your FREE & CONFIDENTIAL car accident personal injury consultation and advice. Simply go to our contact us form and tell us about your car accident collision case or any other injury accident case you had. You can also view our lawyer profiles to get to know more about our knowledgeable and well-qualified lawyers. Furthermore, learn about the formalities, procedures, and rules associated with personal injury and wrongful death claims by visiting our Car Injury Accident Web Site; and for more specific help about your particular car accident injury case just call us now at 818-222-3400 or 1-866 INJURY 2 (after hours just dial "1") for your absolutely FREE & CONFIDENTIAL consultation on your car accident injury case. Call us now, you will be glad you did. Remember, our car accident injury lawyers offer FREE legal consultations and evaluations on Lawndale, Los Angeles and California auto, truck and motorcycle accident claims and treat our clients' cases with utmost concern and priority. Lawndale is a wonderful city in Los Angeles County, California, United States. The population of the city of Lawndale was 32,769, as per the 2010 census, up from 31, 711 according to the 2000 census. The city is situated in the South Bay region of the Greater Los Angeles Area. 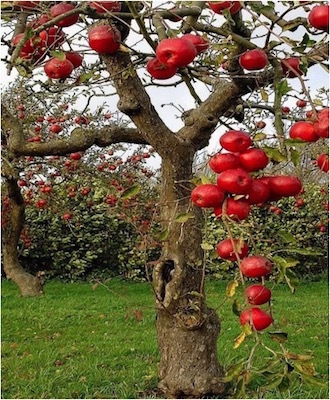 From the 1780s, the area that is now Lawndale was part of the Rancho Sausal Redondo, a land grant given by the Spanish colonial government that includes much of what is now the South Bayshore region. The first railway to run through Lawndale was the Inglewood Division of the Redondo Railway which would later become part of the now defunct Pacific Electric "Red Car" system. It ran down the middle of Railway Ave until 1933. Perhaps the new metro system will re-establish useful public transportation to this area? Starting in the 1970s, Lawndale's relatively low housing prices and more desirable location relative to its neighbouring cities attracted absentee landlords and a substantial portion of its residents increasingly become renters. On December 28, 1959, Lawndale was incorporated as a city in Los Angeles county. 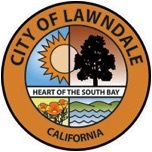 Lawndale has attempted to attract more owner residents, as well as tourists with the 2003 completion of the "Beautify Lawndale's"urban renewal project along the city's stretch of Hawthorne Boulevard, a major South Bay thoroughfare. The city has a total area of just 1.974 square miles. 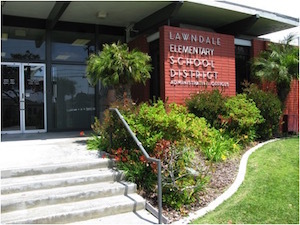 The public education within most of the city of Lawndale and the surrounding areas is provided by the Lawndale Elementary School District, including the Mark Twain Elementary School, and Hawthorne High School. Lawndale Public Library of the Country of Los Angeles Public Library is located adjacent to Lawndale City Hall. Fred Dryer, NFL player and actor, raised in Lawndale in the 1950s, Lawndale High School alumnus. Better than 95% success rate in personal injury and wrongful death accident claims (but past success is not any guarantee or prediction of future results in any particular case). For an easy, free and confidential consultation, fill-in the details in our contact us form to let us know about your Lawndale or other California car accident claim or any other injury accident claim. 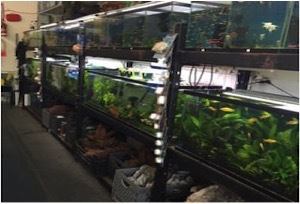 WE WANT TO HELP YOU - PLEASE CONTACT US NOW AND LET US EARN YOUR BUSINESS AND YOUR TRUST! As you see, we offer an absolutely FREE & CONFIDENTIAL consultation for new accident cases and there is no fee until you win. We work on a contingency fee for our services on accident cases - which means we do not get paid until you WIN!